Plate tectonics accounts for important features of the Earth’s surface and major geologic events. What ours should look like. Help with the scientific method. Make up 8 questions from this page. Additional information about Otzi, Closer Look, Even more. I have posted the assignments we have had to date. If your grade is not what you think it should be you are more than welcome to take another stab at it. Posted on November 27, 2012 August 19, 2013 by kathyhankePosted in UncategorizedTagged extension, homework, science, Social studies. Have you ever wondered what the Earth is made of? Is it solid, liquid, hot or cold? Can you drill the the other side of the Earth? Our class has been tackling these questions and more. Below is list of some interesting links. 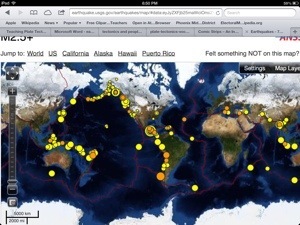 Posted on November 14, 2012 August 19, 2013 by kathyhankePosted in Earth ScienceTagged Earth science. The longer I teach the more I have come to appreciate things that I call “constants”. These are general rules, axioms if you will, that continue to hold value and basic importance that are accurate more often than not. My list is not final nor comprehensive, just a work in perpetual progress. Some are irreverent, some are borrowed with origins long forgotten, but all useful in understanding the bigger picture. Rivers- Some will flow north, some south, many east and still others west but ALL rivers flow downhill. Little is random when it comes to a map. Including everything gains you nothing. The perfect map does not exist. Basic needs not met will trump the desire for freedom. Avoidance of pain is a powerful motivator. Surviving is not the same as thriving. Mrs. Hanke’s first rule of economics- Don’t kill your customer!. It’s not enough to stuff, organize.